Traditional outdoor flooring yellows, chips, cracks, chalks and, in general, doesn’t withstand the elements—and that can make floors look their age. Stop spending money repairing and maintaining your floors. 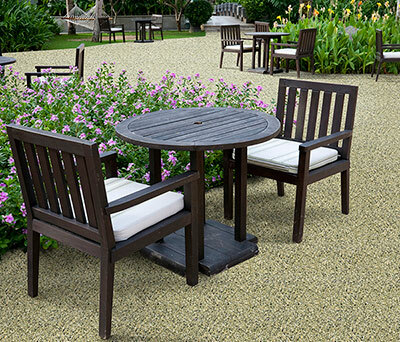 Instead, invest in a durable, worry-free flooring designed for heavy-duty outdoor use. If cold winters or harsh, inclement weather is your reality, you’ve seen that the constant freezing and thawing can wreak havoc on outdoor flooring. But it’s not just cold weather—major issues can also arise from very hot, humid, sunny or rainy climates, which can lead to bonds loosening plus yellowing epoxy, chalking, molding, chipping and cracking. Not only does weather-related damage detract from the floor’s aesthetics, it can also cause potentially dangerous conditions, increasing the chance of accidents. Plus, most outdoor flooring materials harbor bacteria, mold and mildew, which can be a health hazard to employees, residents and visitors. If UV-resistant epoxy sounds too good to be true, that’s because it is. When exposed to sunlight over time, all epoxies will eventually discolor as a result of the chemical reaction between the UV rays and the epoxy material. So-called UV resistant epoxies typically use stabilizers and UV absorbers that slow down the yellowing process, but don’t stop or prevent it. Eventually, those additives will wear off and the yellowing will begin. And that’s just the beginning -- after the yellowing process, epoxy turns chalky-white, a sure sign it’s beginning to break down. But yellowing and chalking isn’t the only problem. All UV-resistant epoxies that are exposed to sunlight will be more susceptible to cracking, bubbling, tackiness and poor adhesion. It’s also more vulnerable to damage caused by high traffic and oil build-up. Our proprietary, two-component aliphatic polyavastic won’t have the issues commonly experienced with UV-resistant epoxy. Even after years of sunlight exposure, your floors will retain their original color and like-new appearance. This natural stone patio is exposed to full sunlight in Florida and stays nice because it was made with polyavastic. Attempt to repeatedly repair a cracked, chipped, peeling or yellowing floor, and you could end up spending just as much on maintenance as you did on the outdoor floor itself. The alternative? Natural Stone by Everlast® Epoxy with a polyavastic binder. Our outdoor solutions are weatherproof and combat climate-related damage, ensuring your floors remain in like-new condition even through the harshest conditions. Everlast Epoxy uses a proprietary two-component, polyavastic binding agent, which is resistant to the effects of freezing and thawing. Unlike epoxy, polyurethane, polyaspartic or other vulnerable materials, polyavastic strikes the ideal balance between toughness, rigidity and flexibility. No more warping, buckling, chipping or cracking no matter the conditions. This patio is also exposed to full sunlight in Florida, it is in the same neighborhood as the above home. This was made with a “UV Resistant epoxy” instead of polyavastic, so it is chaulking and deteriorating from the sun. 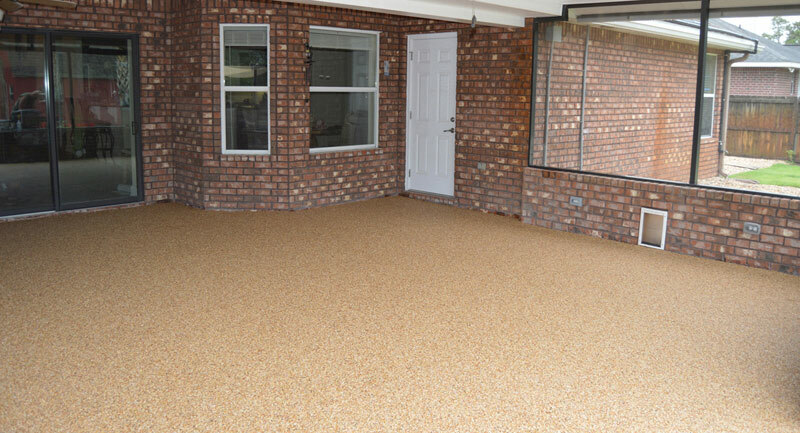 Why Choose Outdoor Flooring from Everlast Epoxy? 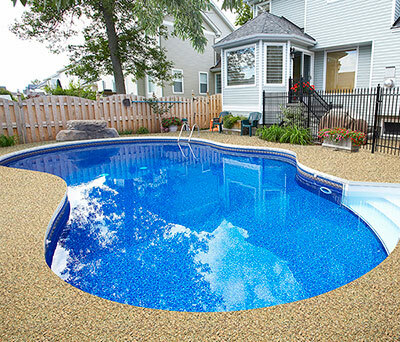 Chlorine Protection: Our proprietary UV resistant polyavastic is resistant to chlorine, making it a great choice for pool decks and waterparks. Colorfast UV Resistance: This revolutionary binding agent is the only truly UV-resistant resin on the market. It won’t turn amber, yellow or chalk when exposed to sunlight. Inherent Flexibility: Polyavastic is much more flexible than epoxy or polyurethane options, which crack easily. Slip Resistance: Polyavastic has more slip resistance than its polyaspartic, polyurethane and epoxy counterparts. Resistant to Freezing and Thawing: With its unique combination of flexibility, toughness and rigidity, our outdoor flooring will never crack or buckle when exposed to fluctuating temperatures. Protect your outdoor flooring investment with weatherproof outdoor flooring from Everlast, and enjoy beautiful, durable and safe surfaces for all seasons, for years to come.